Last month Amun released ‘So Cold’, presenting flawless vocals, chic imagery and a hazy aura, which sparked the support of music tastemakers such as Twin B and DJ Ace, plus rapturous comments via the video debut on Link Up TV. 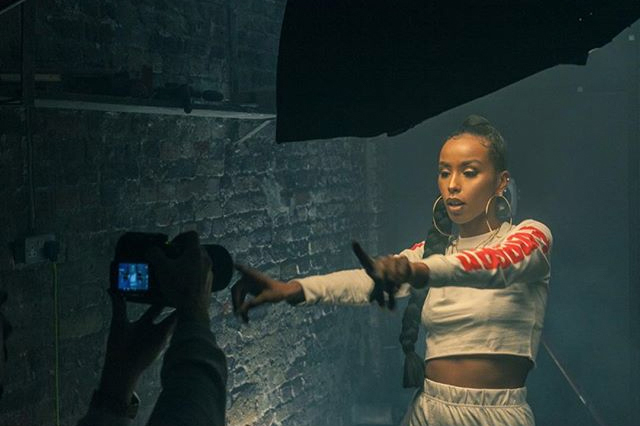 Returning with the second track taken from her newly released EP, ‘Separate’, the 22-year-old British-Somali Singer/Songwriter immediately adds DJ Target to her ever growing list of supporters as the premiere for latest single ‘Not Everything’ makes for a boldly beautiful addition to her freshly unearthed music catalogue. Born and raised in London Amun has partnered with Perpetuity Music for the release of the EP, who have been responsible for numerous music acts now well established in the UK Urban scene. Each track on the EP portrays the lessons, experiences & childhood tales that many can relate to: “Not Everything” is about being yourself, even if people don’t take you as you are, don’t change, just be yourself’ says Amun describing her work. Stepping in to the spotlight surrounded by an experienced and understanding team that aim to nurture and highlight her incredible talent to the world, Amun strives to be ‘free and creative’ and completes her new selection of tracks showing a variety of flows, not only with her voice but lyrically too. Delve in to the world of Amun and discover ‘Not Everything’, from the stunning 5-track offering ‘Separated’ which is available to Stream/Buy here.